Generally if you are going to do a cover version of a song, it is advisable not to pick something that is going to be pretty difficult, especially if you want to create a similar sounding vocal. Not The Midnight Mass decided to ignore this advice when they took on Kate Bush’s ‘Wuthering Heights’. But then Jenny Delenta does do an exceptional job of recreating Kate’s unique voice. Backed by the capable vocal gymnastics of bother and sister, Graham and Christine Weir along with Tereence Reis and Bruce Alex on the studio version on the CD ‘Mass Hysteria’ or Alan Glass instead of Bruce Alex if you are lucky enough to have the super-rare cassette of them live, this acapella group took the Bush classic and, while I would be overexaggerating to say they made it theirs, they certainly made it part of their repartee while Delenta was part of the group. It has all the whoops and swoops of the original as well as the ‘foggy moor’ mystic. This version would not work half as well if it wasn’t for Delenta’s magical vocals on this. She really steals the show here. 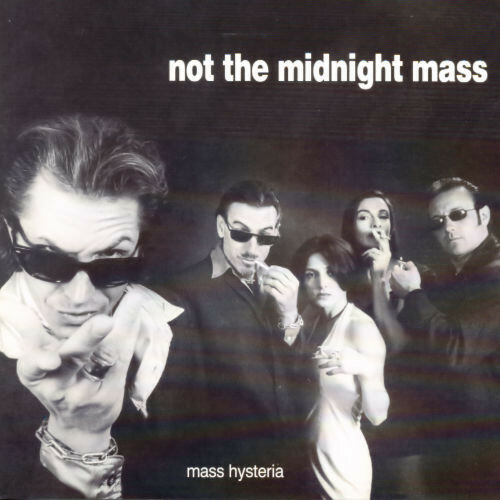 The Mass certainly had the talent to continue making good music once Delenta moved on and have continued to have success in a post Delenta world, so they cannot be written off as mere backing vocalists should you only ever hear this track of theirs, but this one certainly belongs to Jenny.